Saladworks, the nation’s leading entrée salad destination, serves people nature’s best, one salad at a time. 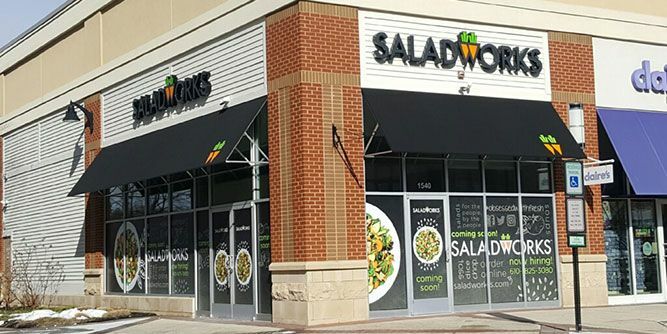 America’s original fast-casual salad concept, Saladworks first opened its doors in 1986 and launched its first franchised location in 2001. Today, consumers can visit Saladworks in nearly 100 different locations in thirteen states and two countries. At Saladworks, all salads are made to order, one at a time, from a wide variety of the freshest vegetables, fruits, proteins and delicious dressings. Saladworks guests can create their own salad, or enjoy one of many signature and seasonal salads, together with a selection of freshly-made sandwiches and soups. We’ve been making salads since before they were cool. And now more than ever, we’re obsessed with fresh. We believe a salad is only as good as where it comes from. That’s why we source the best growers for bigger taste. 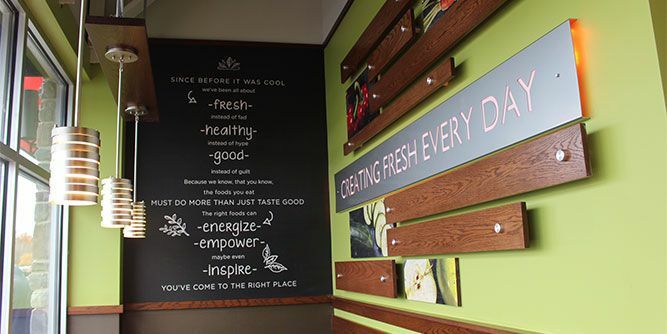 It’s why we chop fresh all day, every day. From our kale to our carrots to our quinoa, our promise is as fresh as it gets. At Saladworks, this is where it all began, over thirty years ago. Making salads for the people. By the people. And we plan on making them for a very long time. Because there’s nothing trendy about fresh.